Tallahassee is not only home to Florida State University and the state's capital, it's also the home to plenty of unique food dishes. 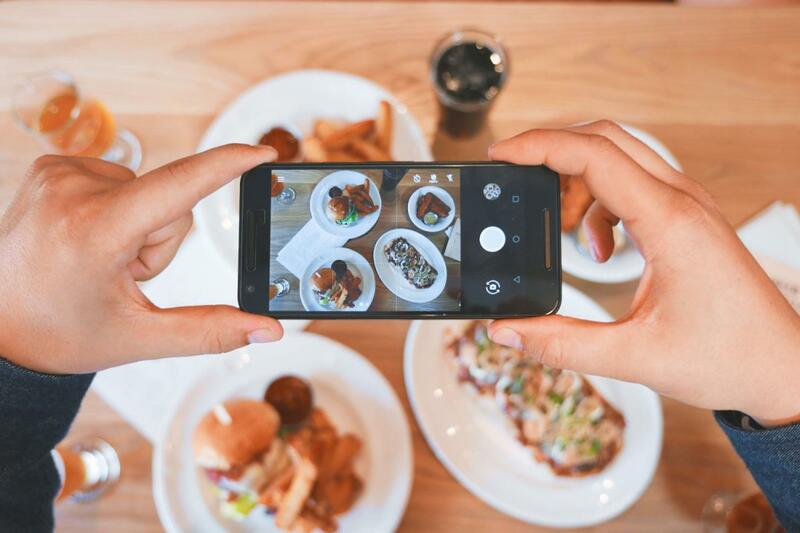 Check out our list of some of the most artistic but tasty dishes that will be sure to get you plenty of likes on Instagram, boosting you to the true foodie status! At Madison Social, they believe that food is the catalyst for a great social experience. Madison Social serves up conversation-starters, that's for sure. From their Meatball Grilled Cheese to the Cast Iron Cookie, one of the most unique food items on their menu is the BLT Dip. This gorgeous concoction of bacon, tomato, spinach, cream cheese, and Greek yogurt dip is served with a grilled Cuban loaf- you won't want to share this dish with anyone! Madison Social also does a monthly challenge where they spotlight new, unique creations. Winners who compete in the contest win a free shirt at the end! One of the best parts about grocery shopping at Lucky's, other than their food selection, is that you can drink wine and/or beer while you shop! From the wide variety of in-house made food from their pasta to their pizza, their Sushiritto is the real showstopper. The marriage of sushi with a burrito is what dreams are truly made of. This unique food item fits in well at this truly unique grocery store. Other than the Sushiritto, there are plenty of great food options here since they stay away from products that have added hormones or pesticides. The Super Perro from Super Perros is truly a unique conquest when it comes to hotdogs. This hot dog is topped with mozzarella, lettuce, tomato, shredded potato chips, pineapple, bacon, ketchup, mustard, and other sauces. If this hot dog is too adventurous for you, their Fried Yucca and Colombian Burger are also incredible. This small local Colombian restaurant shouldn't be missed, and it's reasonably-priced! The Pineapple Bowl from Tally Pineapple Express is where food meets art, and this unique food service is owned and solely operated by college students out of their home kitchen. To order your own customized bowl, either call or text (850)-203-0091. Their Pineapple Bowl s hollowed out pineapple and is filled with rice, peppers, and your choice of meat. They also offer a selection of eight different sauces: BBQ, Carolina Gold, Jerk, Bourbon, Lemon Pepper, Cajun, Sweet and Spicy Chili, and Buffalo. Want to know something even cooler? They give you the leftover shelled out pineapple to go with your bowl! If you a trip to New Orleans isn't in your new future, a meal at Harry's will do just fine! This small Florida chain specializes in Cajun, Creole, and Southern Flavors with a modern twist. Their Oreo Beignets are absolutely worth writing home about. The Oreos are fried in a beignet batter and then topped with a white chocolate bourbon sauce and a drizzle of chocolate syrup. Just as sweet: they're only $7.49 so they won't break the bank! If you're looking for a delicious entree to pair perfectly with the Oreo Beignets, try their Shrimp and Grits, Catfish Étouffée, or Louisiana Fondeaux. Whether it's a fancy evening out or a casual quick bite, you can get taste of unique foods in Tallahassee. For more restaurants in Tallahassee, register on 850area and stay up-to-date on everything going on in the Tallahassee and Panama City area.